"A Transient who works part time as a lifeguard at the beach in Edogawa Ward. He's a soft-hearted athlete belonging to his high school water polo team. His eyes are droopy, making him look sleepy all the time, but they sharpen right up once he enters the water. He will never overlook any aquatic accidents and detests anyone who doesn't value their own life." 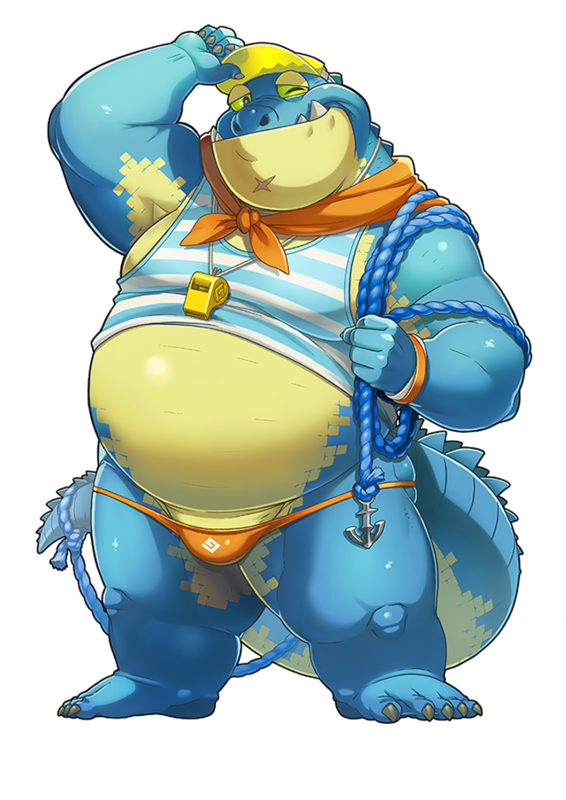 A Summon and water polo club member working part time as a lifeguard at Edogawa Ward's beach, popular with beachgoers for his friendly, laid back personality and soothing atmosphere. His usual sleepy looking eyes are deceptively sharp and focused, and he never misses someone in need. As a man dedicated to preserving life, he dislikes someone who recklessly endangers their own. "He's great at swimming with someone on his back, making him a natural in his line of work as a lifeguard. He carries a Garland Sacred Artifact that can seize his targets anywhere in the water. He utilizes it for his rescue duties. He's fond of people who recognize the fearsome nature of the water yet persevere alongside it." 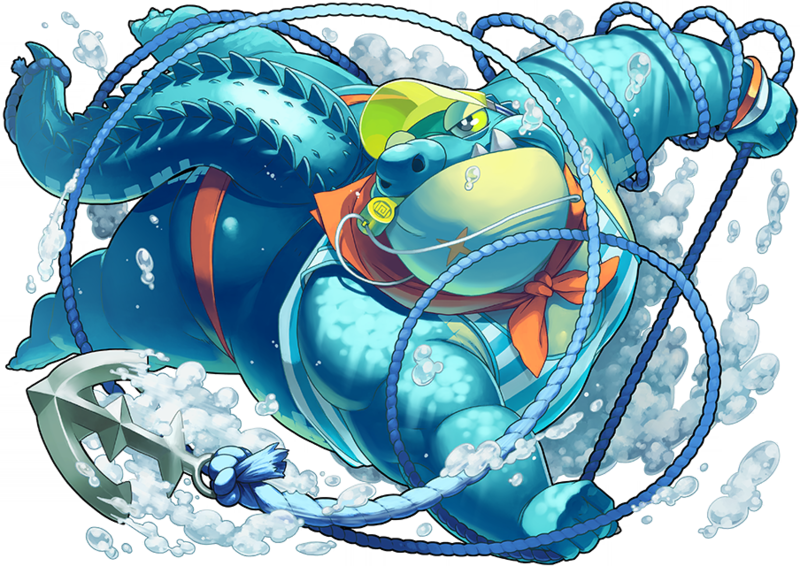 Thanks to his large body, even swimming with another person on his back is easy, and being a lifeguard comes so naturally to him that Makara considers it his calling in life. He possesses a Sacred Artifact, a festoon and anchor that pierces through the water and wraps around its target anywhere, which he makes use of in his rescues. Knowing the dangers the ocean can pose, Makara respects others who also make their living by the sea. Makara's charge Skill, Varuna Vahana, refers to the role of the mythological Makara of Hindu folklore, who served as temple guardians and rides for the sea god Varuna, as well as being the symbol of the god of love, Kamadeva. His Role is "Rescuer" and his Rule is "Reaching." I was so certain he was going to get a new variant with this recent gacha. He certainly needs one. To be honest, I'm kind of surprised he hasn't gotten one yet he's a pretty loved character.